消費者行動研究の一環として、店頭での購買行動に関する意識や実態について調査・研究を行っています。特に値上げラッシュやリーマンショックによる景気後退が始まった2008年以降、生活者の購買行動・意識の変化を定期的に追跡する調査を継続的に行っています。2014年度は、同年４月に実施された消費税増税の影響を踏まえるとともに、オムニチャネルなどの流通動向も含めた、消費者の買物に対する意識や行動を把握することで、今後の消費者行動の行方を探ることを目的としました。調査は例年通り、11月にインターネット調査で、20歳から65歳までの関東と関西に在住する主婦で各エリア500人の計1,000人を対象として行いました。As part of the consumer behavioral research, surveys and research are being conducted on the attitude and actual purchase behavior at the points of purchase. In particular, since the slowing economy that began in 2008 due to the rush to raise prices and Lehman Shock, ongoing tracking surveys are being conducted regularly to track the changes in consumer’s purchase behavior and attitude. 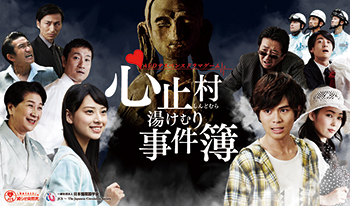 In FY2014, in addition to looking at the impact of the consumption tax increase in April of that year, by grasping consumers’ awareness and behavior concerning purchases, including the trends in distribution such as the omni-channel, Daiko Advertising has aimed to explore the future behavior of consumers. Similar to every year, an Internet survey was conducted in November targeting a total of 1,000 married women aged 20-65, 500 each from Western Japan and Eastern Japan. As part of the consumer behavioral research, surveys and research are being conducted on the attitude and actual purchase behavior at the points of purchase. In particular, since the slowing economy that began in 2008 due to the rush to raise prices and Lehman Shock, ongoing tracking surveys are being conducted regularly to track the changes in consumer’s purchase behavior and attitude. In FY2014, in addition to looking at the impact of the consumption tax increase in April of that year, by grasping consumers’ awareness and behavior concerning purchases, including the trends in distribution such as the omni-channel, Daiko Advertising has aimed to explore the future behavior of consumers. Similar to every year, an Internet survey was conducted in November targeting a total of 1,000 married women aged 20-65, 500 each from Western Japan and Eastern Japan. such as local citizens, NPOs, and corporations, to solve a wide range of issues facing society, including the environment, town planning, education and welfare. 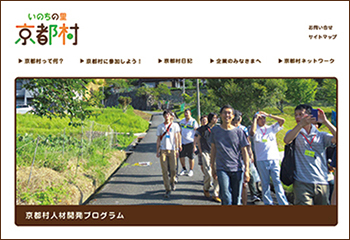 In addition, the research center is providing support for thinking and acting as a society as a whole to create a “better society.” For example, the “Kyoto Village Inochi-no-Sato” NPO established together with Kyoto Prefecture is connecting farming villages with large cities rather than supporting aging and declining farming villages through grants and volunteers, and by creating diverse win-win business opportunities, the NPO is aiming to revitalize these farming villages. Specifically, the NPO is supporting the development of products that carry the “Kyoto Village Mark” (mark certifying products that contribute to the revitalization of farming villages) and the development of events planned and held jointly by farming villages and cities. 全国自治体の子育てに関する行政サービス情報発信プラットフォーム「子育てタウン」を運営する（株）アスコエパートナーズと共同し、自治体公式子育てガイドブックを2014年に制作しています。この冊子は、自治体との官民連携事業として、自治体の負担を軽減するため、子育て応援企業の協賛を募り発行しています。「子育てタウン」のウェブサイト版（PC ・スマホ・アプリ）に加え、ウェブサイトと紙媒体を連動させ、市民目線の使いやすさを重視した冊子として、自治体で出産をするすべてのママに母子健康手帳と一緒に配布されています。大阪市・神戸市・千葉市・仙台市など、政令指定都市をはじめとした自治体で発行されており、今後も発行する自治体の数を増やす予定です。In cooperation with Asukoe Partners, which operates the “childcare town” government service information platform for childcare in municipalities throughout the country, Daiko Advertising created an official childcare guidebook for municipalities in 2014. Because this guidebook is a public-private venture with municipalities aimed at reducing the burden on municipalities, it is published through sponsorships from corporations that support childcare. In addition to the “childcare town” website (PC and smartphone apps), the website and paper-based version have been linked, and it is distributed along with maternal and child health handbook to all mothers who will give birth in the municipality as a guidebook that is citizen-oriented and easy to use. 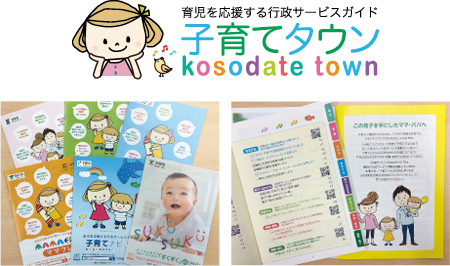 The guidebook has been issued by government-designated cities such as Osaka, Kobe, Chiba and Sendai, and a number of other municipalities are planning to issue the guidebook in the future.In cooperation with Asukoe Partners, which operates the “childcare town” government service information platform for childcare in municipalities throughout the country, Daiko Advertising created an official childcare guidebook for municipalities in 2014. Because this guidebook is a public-private venture with municipalities aimed at reducing the burden on municipalities, it is published through sponsorships from corporations that support childcare. 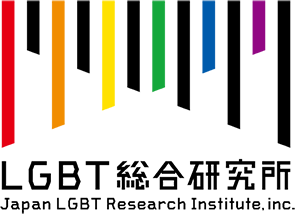 In addition to the “childcare town” website (PC and smartphone apps), the website and paper-based version have been linked, and it is distributed along with maternal and child health handbook to all mothers who will give birth in the municipality as a guidebook that is citizen-oriented and easy to use. The guidebook has been issued by government-designated cities such as Osaka, Kobe, Chiba and Sendai, and a number of other municipalities are planning to issue the guidebook in the future. 2004年から一般の人が扱うことができるようになったAED（自動体外式除細動器）。このAED導入10年目にあたる2014年、日本全国で心肺蘇生法の普及啓発をしている医師や団体など関係者が一つになって「減らせ突然死プロジェクト実行委員会」が発足しました。病院外での突然の心停止が目撃された場合、AEDが使われたケースはわずか3.6%です。この事実を受け、AED使用率5％を目指し、できる限り多くの皆様に「心臓突然死を減らすことの重要性」「AEDを自らが使うことの意義」に気づいてもらうキャンペーンを展開。ウェブサイトやSNSをはじめとして、誰でも使用できるロゴマークをイベントで共有しながら活動を推進し、2015年にプロジェクト2年目を迎えています。Since 2004, AEDs (automated external defibrillator) have been available to the general public. 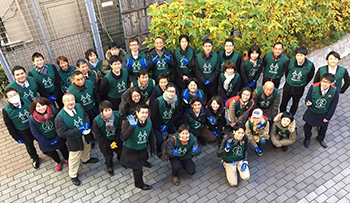 In 2014, on the 10th anniversary of the introduction of the AED, the doctors and groups who have been spreading awareness on artificial resuscitation in Japan came together to form the “Executive Committee for the Project to Reduce Sudden Deaths.” An AED was only used in 3.6% of cases in which a sudden heart attack was witnessed outside a hospital. Given this, with the aim of increasing the AED usage rate to 5%, a campaign was launched to inform as many people as possible about the “importance of reducing sudden heart-related deaths” and the “significance of voluntarily using an AED.” In addition to a website and SNS, the committee has promoted activities while sharing a freely usable logo mark at events, and in 2015, the project entered its second year.Since 2004, AEDs (automated external defibrillator) have been available to the general public. 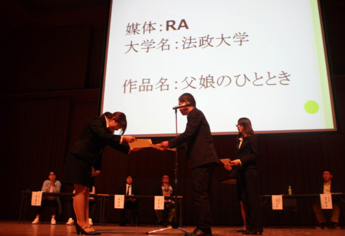 In 2014, on the 10th anniversary of the introduction of the AED, the doctors and groups who have been spreading awareness on artificial resuscitation in Japan came together to form the “Executive Committee for the Project to Reduce Sudden Deaths.” An AED was only used in 3.6% of cases in which a sudden heart attack was witnessed outside a hospital. 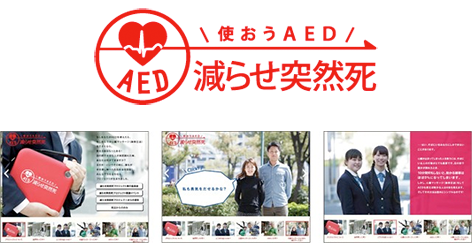 Given this, with the aim of increasing the AED usage rate to 5%, a campaign was launched to inform as many people as possible about the “importance of reducing sudden heart-related deaths” and the “significance of voluntarily using an AED.” In addition to a website and SNS, the committee has promoted activities while sharing a freely usable logo mark at events, and in 2015, the project entered its second year. コンピュータグラフィックス、人工知能、インタラクティブテクノロジーなどを駆使したメディアアート作品は、すでに半世紀の歴史をもち、海外ではアートとテクノロジーの両側からメディアアートを検証する活動が根付いています。一方、日本では表現者と、研究者たちが基礎研究情報を共有するための場が少なく、経済活動の中にメディアアートが組み込まれる素地がないことから、一般の方がまだメディアアートを身近に感じる状況ではありません。大広は、大学教授、アーティスト・キュレーターの方々と共同で、「KAKEHASHI PROJECT」を立ち上げました。アーティストとテクノロジスト、才能と技術、ナレッジとビジネス、日本と世界をつなげる未来への「懸け橋」の一助となるべく、メディアアートに関するさまざまな活動機会の創出を仕掛けています。Media artwork using computer graphics, artificial intelligence and interactive technology has already been in existence for half a century, and overseas, the study of media art from both the perspective of art and technology is firmly rooted. On the other hand, in Japan, there are few opportunities for creators and researchers to share basic research information, and because there is no foundation for incorporating media art into economic activities, the general public is still not familiar with media art. Daiko Advertising has launched the “KAKEHASHI PROJECT” together with university professors, artists and curators. 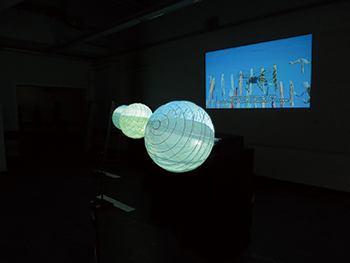 The project has been involved in creating a number of opportunities related to media art with the aim of helping form a bridge to the future between artists and technologists, inherent ability and technology, knowledge and business, and Japan and the rest of the world.Media artwork using computer graphics, artificial intelligence and interactive technology has already been in existence for half a century, and overseas, the study of media art from both the perspective of art and technology is firmly rooted. On the other hand, in Japan, there are few opportunities for creators and researchers to share basic research information, and because there is no foundation for incorporating media art into economic activities, the general public is still not familiar with media art. Daiko Advertising has launched the “KAKEHASHI PROJECT” together with university professors, artists and curators. 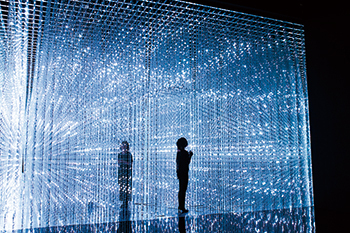 The project has been involved in creating a number of opportunities related to media art with the aim of helping form a bridge to the future between artists and technologists, inherent ability and technology, knowledge and business, and Japan and the rest of the world. the employee who has been designated the instructor decides how to best convey his or her own experiences, organizes his or her thoughts and conducts the training. This training is not only conducted within the company. Daiko Advertising is also actively dispatching trainers outside the company. 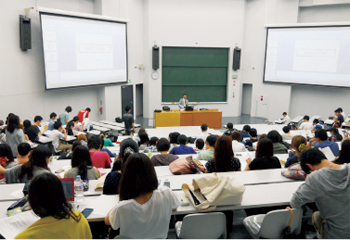 In FY2014, trainers were dispatched to the “Public relations and advertising course I & II” at Chuo University Faculty of Law to provide lectures on advertising communication and marketing.